An impressive large iron and bronze ritual Phurba or Kila. Hand crafted to resemble Kilas from the 15th C or earlier. With an iron and bronze nine prong vajra handle and iron blade. Unique and one of a kind! The three sided blade is held in the mouth of the mythical sea dragon known as Chu-Srin in Tibetan or Makara in sanskrit. 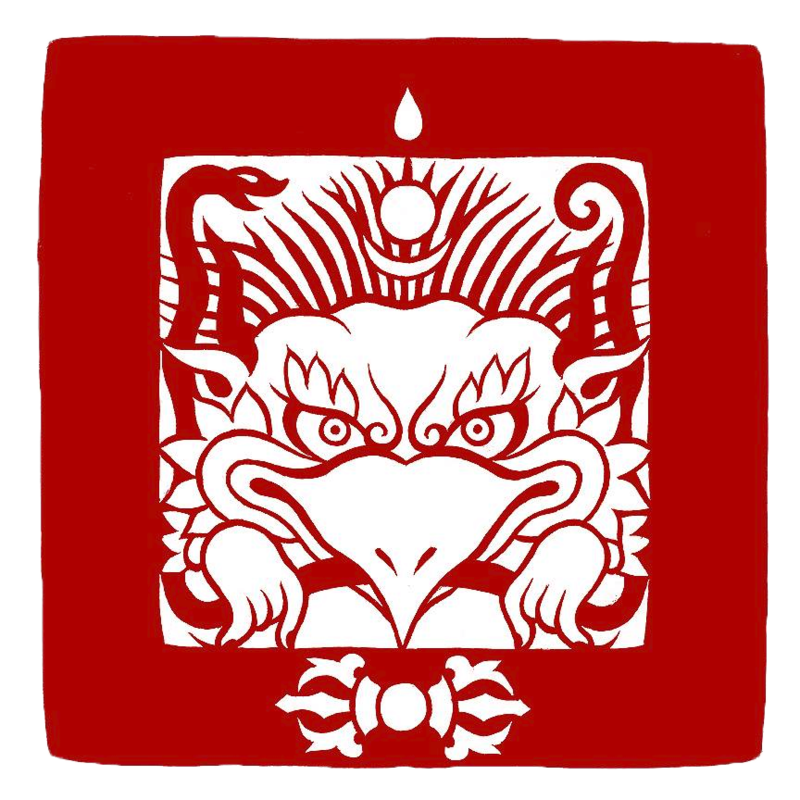 The three wrathful deity heads at the apex represent the three kayas and inwardly represent the three channels of the body. The blade, nine prong vajra handle and vajra at the apex are crafted from iron and the rest from bronze alloy.